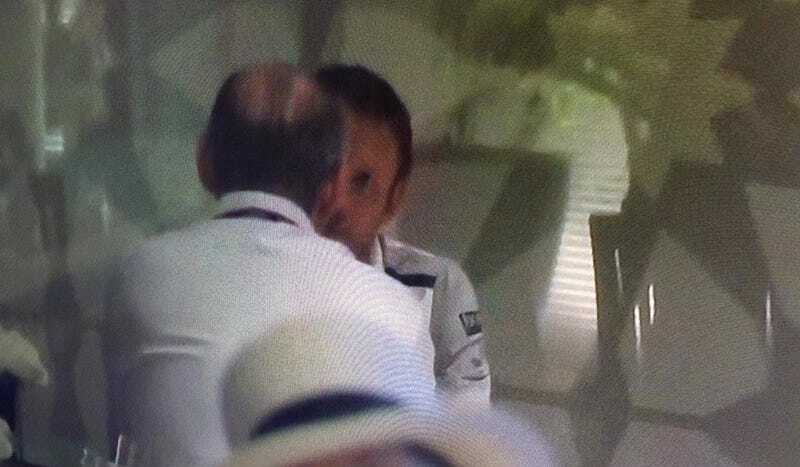 Sky F1 captured some footage of driver-sans-2015-contract Jenson Button meeting with McLaren CEO Ron Dennis after the Abu Dhabi Grand Prix. Although we're fairly certain Alonso will be driving for McLaren next year, no one knows who his teammate will be. Button is far older than teammate Kevin Magnussen, however, he consistently outperforms Magnussen, earning over twice the number of championship points for the 2014 season. Who will remain at McLaren next year? From the looks of this, we may find out sooner rather than later.